This past February we flew down to Arizona for our annual visit. We usually try to get out and do a little sightseeing/hiking, and this trip we decided to drive up to the Salt River north of Mesa. There are numerous hiking paths along the river and we wanted to investigate a few. The first one we stopped at was where the wild horses are frequently seen, and we were fortunate to see a few of them there across the river. 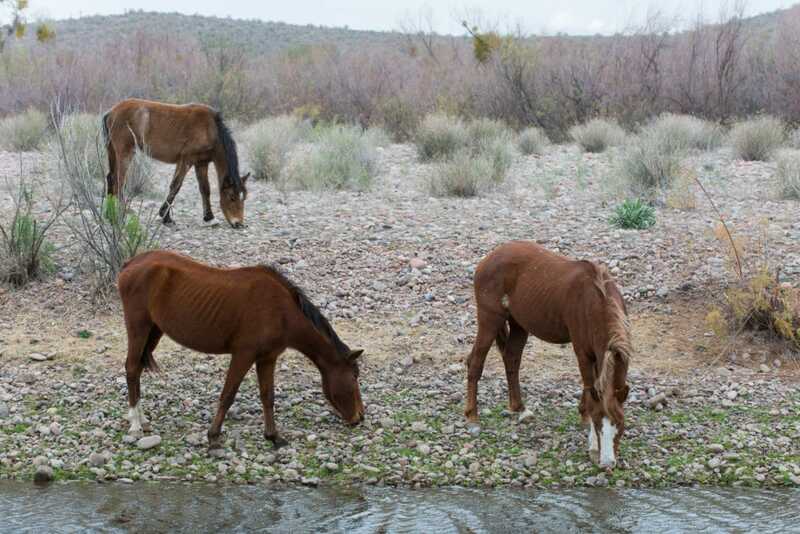 Three wild horses forage for food along the Salt River in Arizona. Further on up the road we stopped at another trail head and walked down to the river. This location had better opportunities for landscape compositions featuring the river and dramatic skies we enjoyed that day. 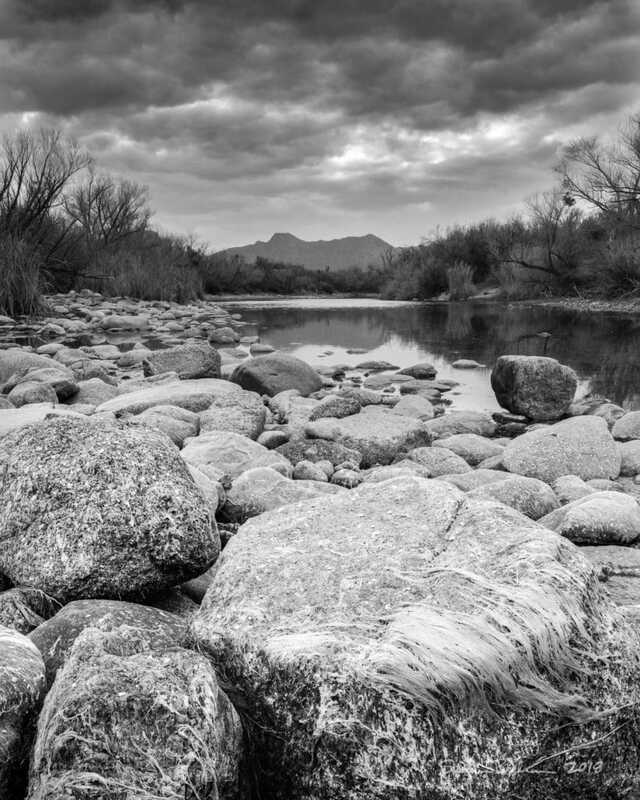 Large boulders with dried moss in the Salt River, Arizona. 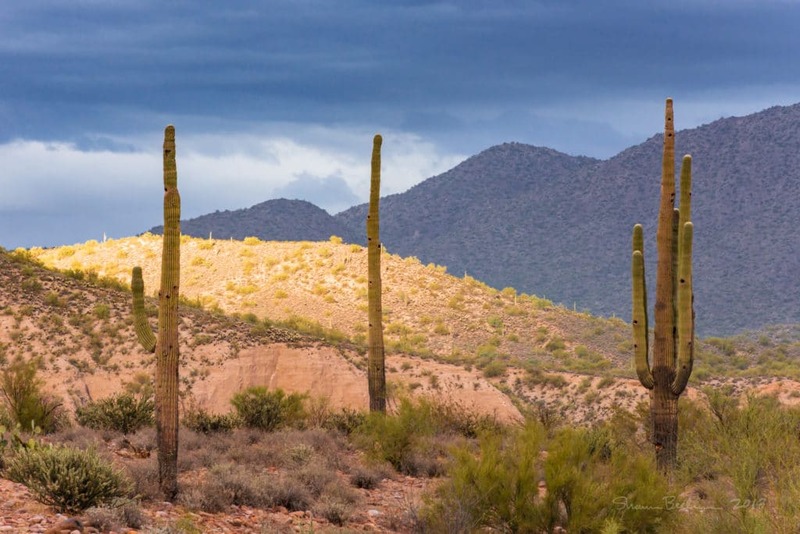 Three saguaro cacti with a sunlit hill in the distance, Salt River, Arizona. Clouds are essential for beautiful sunset images! 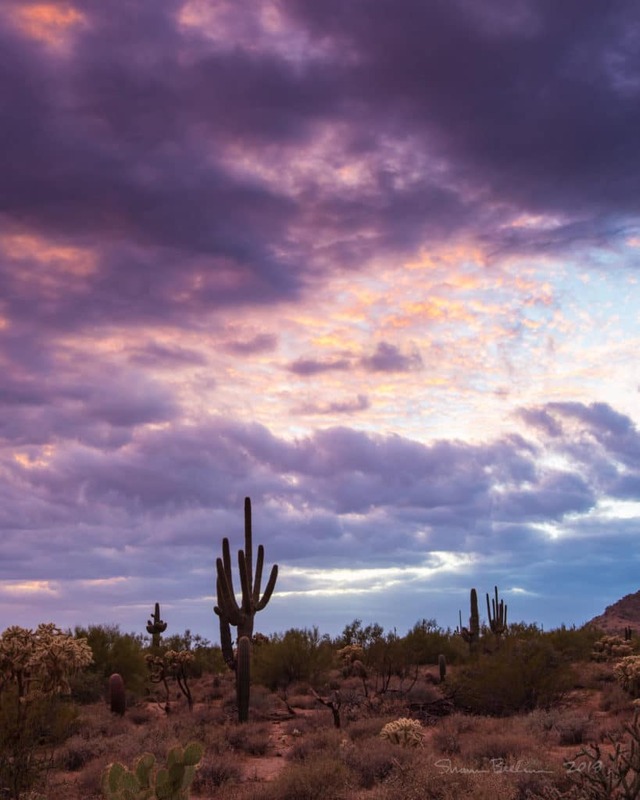 The Salt River and Usary Mountain Park are relatively close to Phoenix so I will definitely be returning next year. I just hope we get sunset clouds like we got this year! June 26th, 2018 | Categories: Landscape, Nature, Travel.